Why does the construction industry matter to you? It may be because construction doesn’t just refer to building roofs and walls, but also to the fact that you’re building your future and a place where you can be yourself. The industry is driven by many factors caused by erratic consumer demand, however, which means that it changes dramatically day to day, making it important to stay up on the current trends and issues. To help you do this, we’ve spotted the most influential professionals throughout the construction industry in the U.S. who are building, designing, manufacturing, and publishing content relevant to the field. Of course, this list isn’t perfect; there are thousands of experts who help people build the homes where their lives and futures will be forged - people who help make other’s dreams come true with their knowledge and expertise, as well as their strong passions and consistent efforts. However, we’re confident that the influencers we’ve listed here, selected by us carefully over several months, are true leaders whose words have the power to shape and change the industry and trends seen in the homes and buildings we work and live in. Online presence, including web traffic, and how often their name or business appears online. The number of social media followers and the amount of interaction with their audience. We’ve researched the activities on the most active accounts of some of the most popular social media channels such as Twitter, Facebook, Instagram, and Linkedin. Awards they've won and expertise in the field. Someone in the construction industry who needs to keep up to date with the latest designs and trends. Someone who is interested in remodeling your home, or buying a new one. 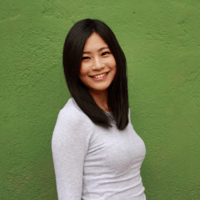 A person interested in home design, architecture and construction. Keep up to date with industry influencers to see trends as they begin to emerge, which can keep your work and industry experience fresh and up to date. You’ll also see trends and fads change over time, making it easier to see what’s going to have staying power in the future. The ability to build relationships that can further your own influence. Information on brands and forums where your personal work may have relevance. More information about your target audience, so you can further tailor your approach and grow your own business. We hope that you find this list of industry influencers helpful in reaching your goals. 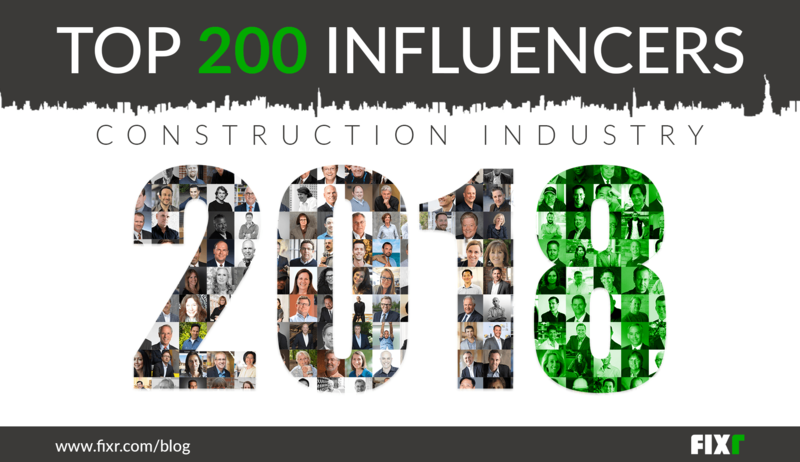 We appreciate the help of all influencers who have helped up build this list to safe, and we encourage you to follow these influencers to keep you up to date on everything related to the construction industry in 2018. Look for our upcoming post on this topic to learn more about the influencers, who they are, and what industry trends they see for the future.